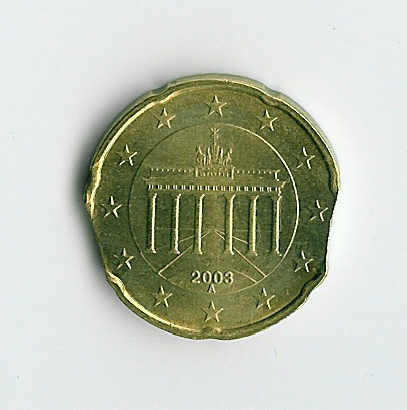 This coin is a 10 Euro Cent Germany 2002 J with 2 clips. 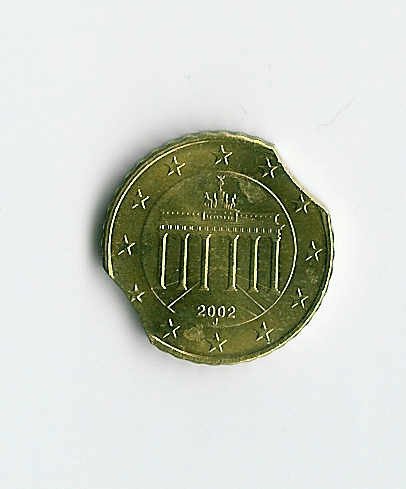 The images are provided by Sebastian R. He is a very good collector of euro error. 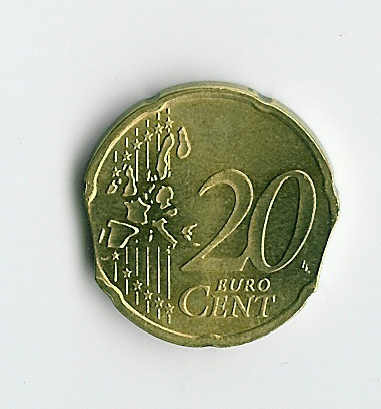 This coin is a 20 Euro Cent Germany 2003 A with 2 clips. 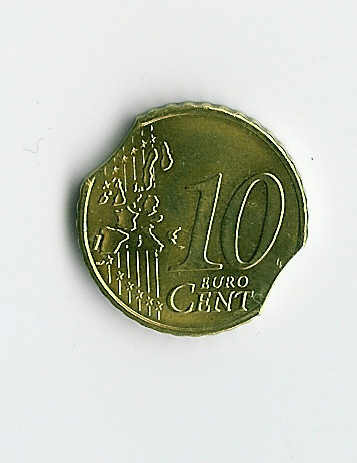 Also those images are provided by Sebastian R.